With people more dependent on the grid than ever before, grid reliance is essential to ensuring that people have access to basic services such as police, fire and clean water. Our dependency on the internet and our mobile devices further adds a level of criticality to having a reliable grid. A reliable grid is made up of two components, the infrastructure that makes up the grid and the energy source that powers it. Both of which can be put to the test when severe weather hits. As was witnessed again this year, when South Florida was a dealt a blow by Irma, nuclear served as a reliable source of energy. “There was literally not a single pole, wire or piece of equipment that did not feel the wind or the rain of Irma so for us it was unprecedented,” said Peter Robbins, generations communications manager, Florida Power & Light. Four million customers lost power following Irma. Meanwhile, Florida’s two nuclear power plants withstood the fury of the storm. Turkey Point and St. Lucie nuclear power plants which serve approximately 1.5 million customers are designed to withstand the natural force of such extreme events like hurricanes. Florida’s nuclear plants sit approximately 20 feet above sea level and are constructed to withstand the force of severe flooding and storm surges. Backup safety systems are also in place to ensure site safety. While hurricane preparations and drills take place long before the seasons starts, a week and a half before Irma made landfall, further measures were taken. One of the units was shut down at Turkey Point, in anticipation of hurricane force winds, prior to Irma’s track shifting westward. Following Irma, a full inspection was done at both facilities. The plants, once again proved their resiliency to extreme events. A post-storm inspection revealed only salt buildup on the non-nuclear side of St. Lucie. “There are a lot of inspections that need to take place to make sure that things held up during the storm. We double and triple check everything and work with emergency management officials,” according to Robbins. Widespread damage and the amount of debris has posed a huge challenge for power grid restoration crews. In the case of Irma, the storm brought down the equivalent of 2 years of yard waste in one day in some locations. “It has been more than a decade since our last major hurricane and vegetation builds up. A hurricane will take down weak branches and weak trees and we saw a tremendous amount of vegetation damage during the storm. It takes one tree to crash into a set of power lines to knock out power to a neighborhood or section of a city,” stated Robbins. Even with all this damage, Florida Power & Light, with the assistance of 20,000 workers from across the United States and Canada, were able to restore power to 2 million people within 24 hours following Irma. “We have a heartfelt thank you to all the folks who came here from out of state to help us restore power,” stressed Robbins. Late summer a torrent of hurricanes battering coastlines from the island of Barbuda through the Carolinas in the United States. Harvey, Irma and Maria made headlines for their intensity and catastrophic damage. For the first time in centuries, the island of Barbuda was completely vacated after Irma moved through and damaged or destroyed 95% of the island’s buildings. 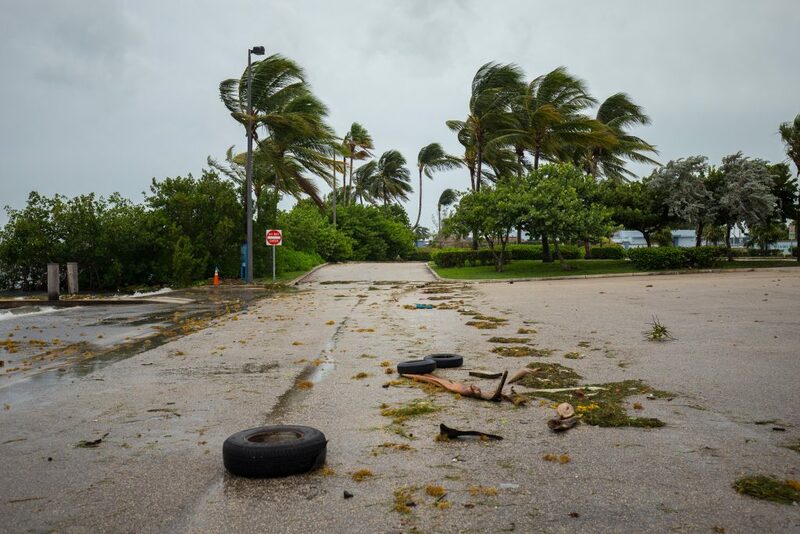 As the monster storm moved over Florida, Irma brought widespread destruction, making landfall as a Category 4 storm, the second strongest on the Saffir Simpson scale. These recent storms have highlighted the need for reliable energy, generation and grid infrastructure. While the ocean waters are calm for now, if atmospheric conditions are just right more storms could find their way swirling across the Atlantic. Once again, people will need reliable and resilient infrastructure-from energy generation and distribution to homes. Once again, the reliability and safety of nuclear power generating stations can be counted on.